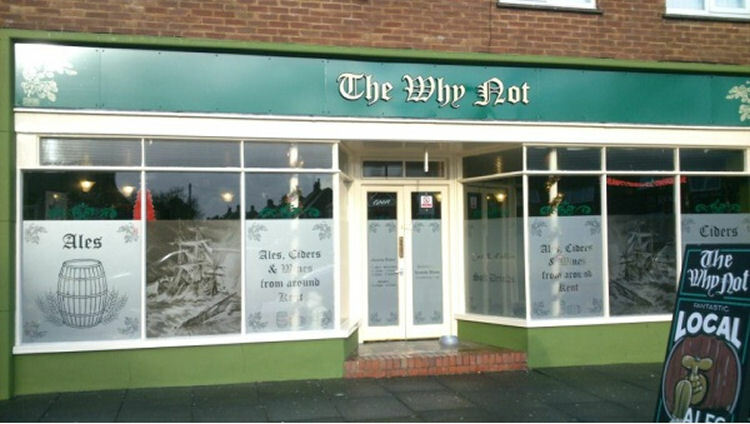 Above showing the "Why Not" in 2013 when open. Above showing the "Why Not" July 2012. Image from Google maps. Located on Lymington Road in a previously unpubbed part of town, a shop conversion having previously been a Butcher's, Flower Shop and lastly a Hairdresser's. In fact the ground floor gravity stillage beer cellar is the former Butcher's cold store which seems to require no artificial cooling. Since being built it has always been a shop and has now been furnished with former wooden dining room tables and chairs and has a superb brown and black quarry tiled floor. As the use of mobile telephones is banned in the bar here a separate back room has been provided which is labelled Telephone and has a seat and table for those that must use their device!! Named after the pub in the J. Meade Falkner book Moonfleet. I believe it did open for a few days, but have just heard the terrible news below. From http://www.kentonline.co.uk 10 November 2013. By Mary Louis. Westgate man Lee Birch accused of murdering wife Anne Birch of "Why Not" micropub after body found in Broadstairs. Lee Birch is accused of murdering wife Anne. 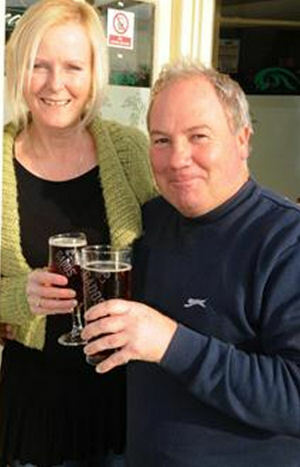 The husband of a woman who ran a Westgate-on-Sea micropub has been charged with her murder. Lee Birch, 55, is accused of killing 47-year-old Anne Birch, who was discovered dead in Broadstairs on Thursday. He appeared before Dover magistrates yesterday, where he was remanded in custody. Birch, of Lymington Road, Westgate, is due at Canterbury Crown Court on Tuesday. A Kent Police spokesman said the force has referred the matter to the Independent Police Complaints Commission "as is mandatory in cases where there has been previous police contact with the victim". Birch and his wife Anne opened the Why Not? 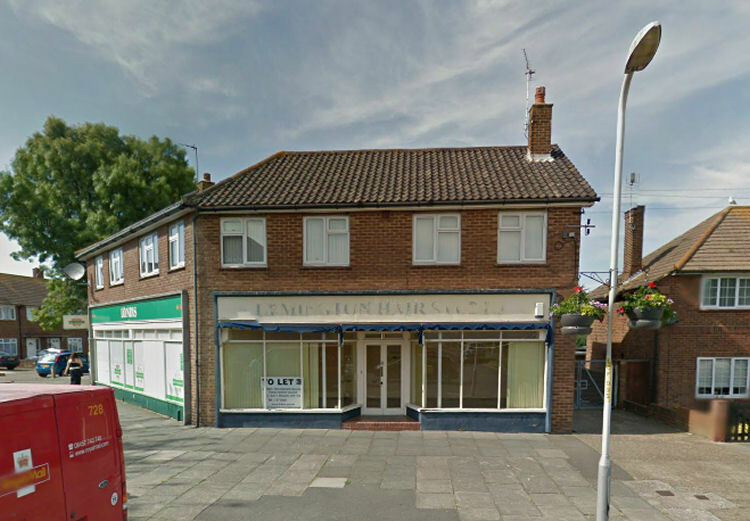 micropub in Lymington Road, converting it from a hair salon, last December. According to the venue's Facebook page, it shut in September after the couple struggled to make it work financially. It is understood new tenants had been secured to run the pub, but they are believed to no longer be able to trade as Mrs Birch was the licence holder. A message posted on the micropub's website said: "The Why Not is currently closed due to the unexpected passing away of Anne." 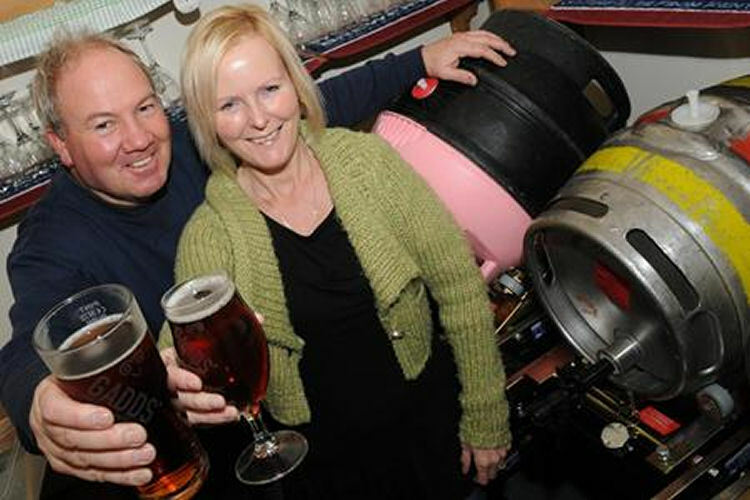 Couple Anne and Lee Birch at the opening of the Westgate micropub. The couple - who have a teenage daughter called Molly - were said to split their time between the pub and their pet care business, Molly Coddles. Speaking at the opening of the Why Not? 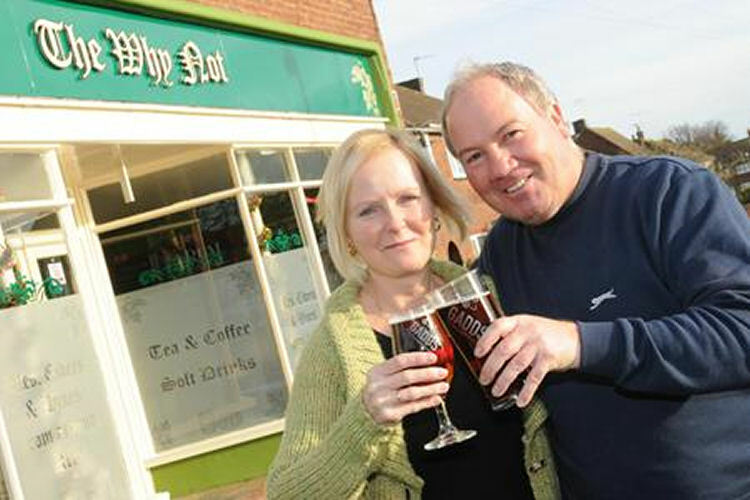 in December last year, Birch said the idea to take on the licence of the micropub was Anne's idea. He said: "Anne saw a programme about the first micropub in Kent, which was opened by Martin Hillier in Herne about nine years ago, and we liked the idea of a small pub with a good atmosphere, friendly conversation, stocking real ale, cider and local wines. "We started looking for suitable premises quite soon after but it took a while to find this place." The micropub was previously a butcher's and then a hairdresser's and it took the couple a while to transform the venue. Birch said: "We had a few problems getting permission for change of use because people didn't know what a micropub was. "But we love the location because we're right in the centre of a large community and the pub has become a focal point. It can hold nearly 50 people so it can also be used for functions. "There's no juke box or fruit machines and we even have a purpose-built phone room if anyone wants to use their mobile, so it doesn't disturb anyone else." He added: "It's not like going to work, it's the chance to chat to people in a relaxing environment. "But we are aiming to be the best micropub of them all." Mrs Birch was found by emergency services at an address in Whiteness Road, Kingsgate, at just after 1.30pm on Thursday after initial reports she had been injured. Birch was arrested later on Thursday and questioned by officers before being charged with murder late on Friday by detectives from the Kent and Essex Serious Crime Directorate. A post-mortem examination is due to be carried out to establish the cause of death. The Broadstairs road remained closed into yesterday as investigations continued. Officers also cordoned off a section of Pegwell Road, Pegwell Bay, as part of the investigations. Carole Evans, who lives in the Whiteness Road area, said she had been startled by ambulance sirens initially at around 1.30pm on Thursday. She said: "My first thought was there must have been a terrible accident because it is such a bad corner. "Then my son had gone past and saw the forensics and we knew it must have been bad." "Also, in my opinion, Thanet District Council have again showed gross incompetence in the matter of this pub. Gary and Jane were trying to re-open the pub (and ran it in Anne's name for a week before her sad passing) – the locals like it, but the idiotic morons at TDC seem to think that this part of Westgate would be much better suited with a kebab shop than a micro-pub. There are currently two takeaways in this part of Westgate – it is so obvious that it needs a third rather than a micropub. Are TDC the most incompetent council in the country? I rather think so - but that is just my own opinion (I wonder who else agrees!!!). This situation has now been told to all of the three elected local Councillors (Jodie Hibert, Simon Moores & Tom King) - they all seem to agree that TDC have acted bizarrely and wrongly. Who knows what will follow?"